Shilpa Shinde. Does the name ring a bell? Well if it does, then you can call yourself a Bigg Boss fan. Yes, Shilpa Shinde really needs no introduction, we all know her from her television characters, 'Angoori Bhabhi' in the show 'Bhabhi Ji Ghar Par Hain'. She truly won the hearts of all Indians. After Puneesh Sharma and Vikas Gupta were eliminated, it all came down to the two people: Hina Khan and Shilpa Shinde. After a long suspenseful wait, Salman Khan finally declared the winner of the show, Shilpa Shinde. In honour of winning, the stunning actress won 44 lakhs and a trophy, but she well deserved it for living in such a madhouse for over 105 days. We all know, where Shilpa's favourite place was in the house? Yes, it was the kitchen. And that’s the best place to win hearts of the hungry, sleep-deprived contestants. Shilpa cooked pretty well and whenever she had the opportunity to visit the kitchen she did, even when she wasn’t needed. Very early on in the show, the contestants that cooked were evicted, hence she took on the responsibility of feeding the house. To a point where contestants like Akash Dadlani and Arshi Khan were often seen calling her "Maa". Actor and TV programmer Vikas Gupta and Shilpa were often seen having fights on air. Both of them never really seem to get along. Vikas and Shilpa never shared a very good history. Both of them, share different views and takes on 'Bhabhi Ji Ghar Par Hain'. They fought so much that even Salman intervening was going in vain. 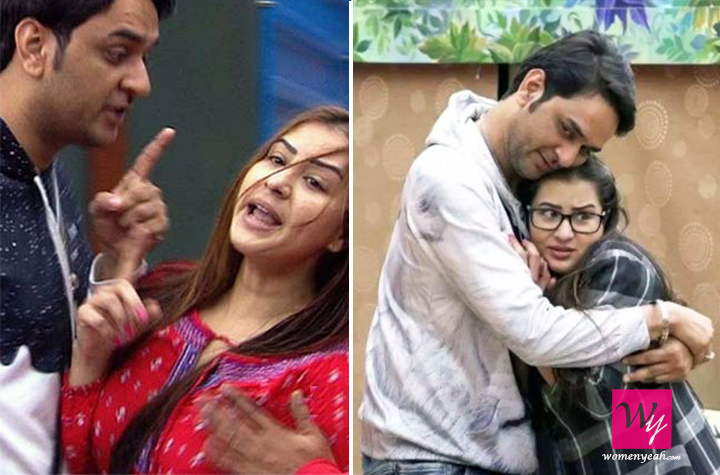 Vikas and Shilpa never really ever got along, since their inception of the show. However, it was more hate than love. Yes, even after being called a ‘mentally challenged woman’ to ‘bhainsi aunty’, Shilpa has never restraint from being herself in the house in the recent wake of these insult she received in the Bigg Boss house. However, the 40-year-old actress doesn’t stop herself to fight for the right. She is straightforward to point she doesn’t bend the truth for you. She acted in two Telugu films Dasari Narayana Rao’s “China” and Suresh Verma’s “Shivani", before entering the Big Boss House. 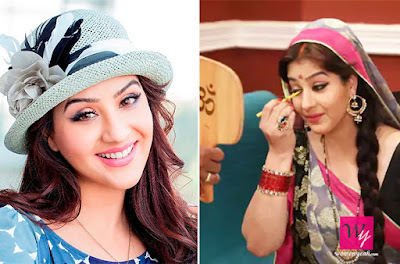 Before becoming famous as Angoori Bhabhi, Shilpa had worked in TV shows like Sanjeevani, Bhabhi, Miss India, Maayka, Waaris and Chidiya Ghar. She quit working for “Bhabhi Ji Ghar Par Hai” after she accused the producer of sexual assault. Yep, now you know everything about Shilpa, the ‘Maa’, of Big boss season 11.